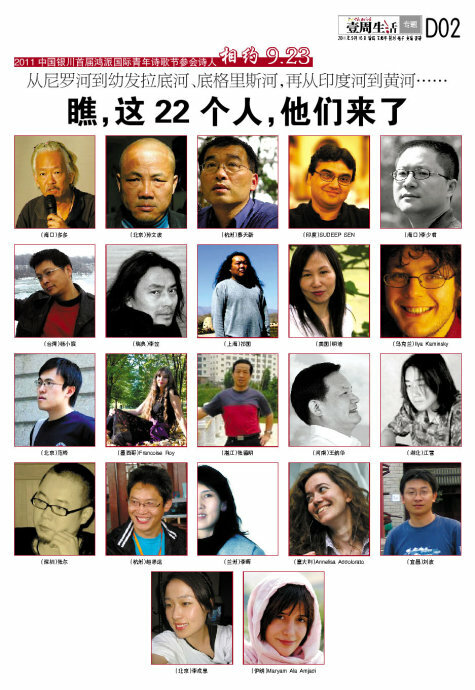 Twenty five national and international poets and twenty five local poets have been invited to the festival. and then to an old castle. This was on the hillside near the castle. 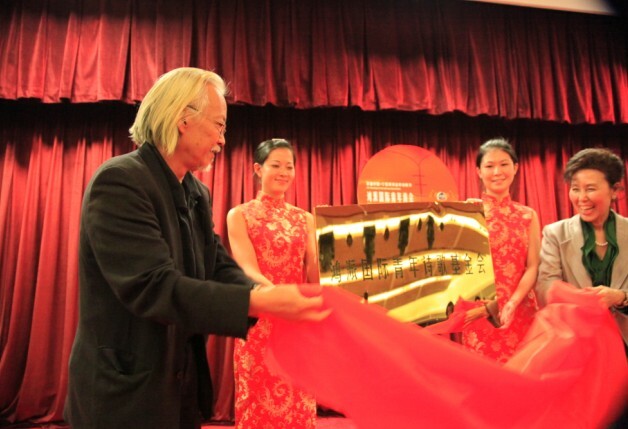 In the picture were Duo Duo, Zhang Shaohua, and Mindy Zhang. 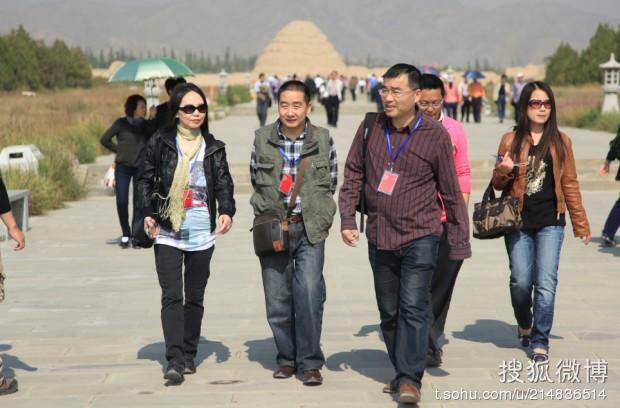 Zhang Shaohua (1980-) , a young entrepreneur and poetry lover, donated 200,000 to the poetry festival. 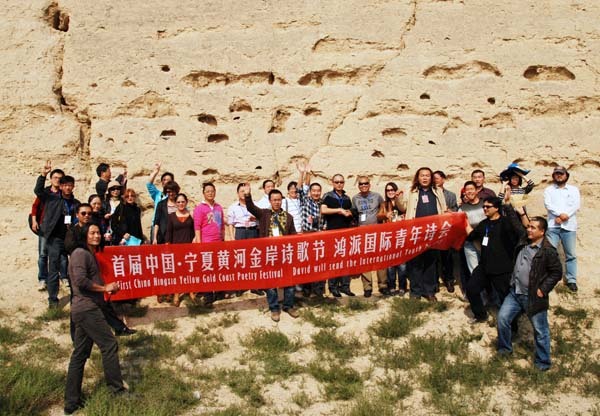 Poets had great tours and banquet everyday throughout the festival. 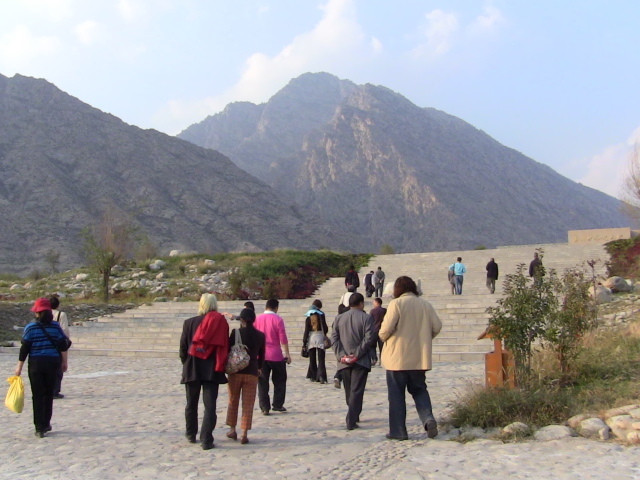 The best part of the festival was going to the well-known Mount Helan. Magnificent! Poets spent one afternoon and evening there, many wishing they could stay there for a whole month. 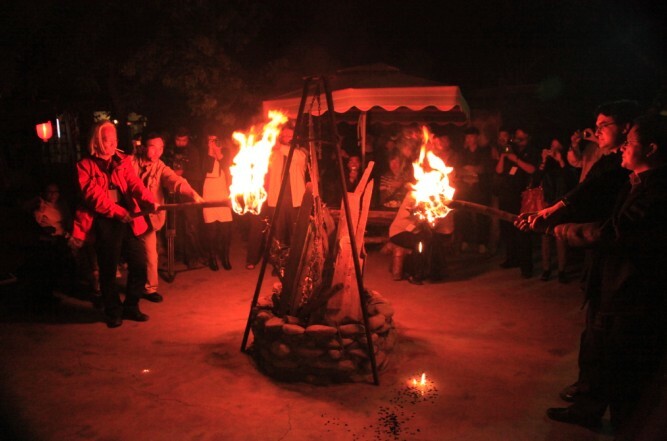 After a nice meal in the mountain resort area with the local snake wine and deep-fried scorpion (of course there were many other great dishes), a poetry reading took place by a bonfire started by Duo Duo and Li Shaojun. The reading by the bonfire was curated by Mindy Zhang in Chinese and English. 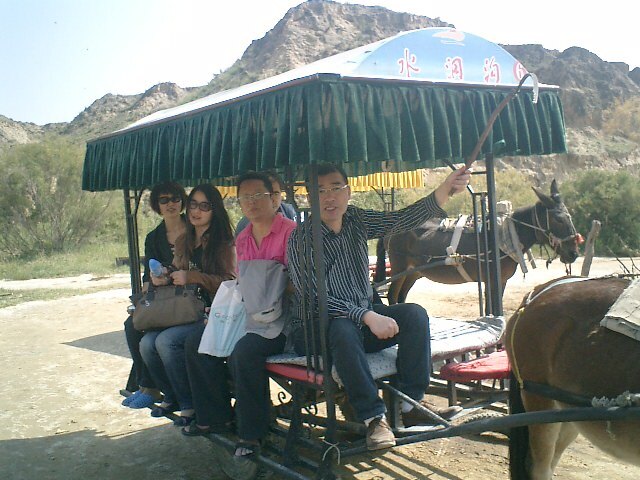 The next day they visited some caves in another mountain area near the Inner Mongolia and took a ride back to the entrance of the fort. In the afternoon of the final day, poets were resting in a bar, drinking and chatting and resting after a full schedule in the morning. 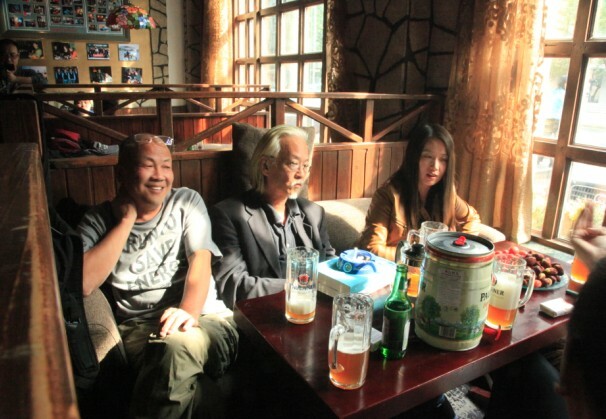 Mindy translated Ilya’s award acceptance speech in Wang Xiping’s office (close to the bar, in the building of the local newspaper), and then joined the poets in the bar in the late afternoon. It was Sept 24, 2011, the World Poetry Day, we did poetry readings to support World Poetry Movement. Before the readings, seven poets received awards. 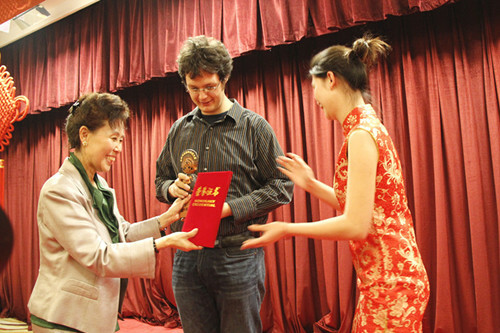 Ilya Kaminsky(USA) received the grand award — the 21 century International Poetry Award. Maryam Ala Amjadi (India) received Young Poet’s award. The local TV anchor woman and poet Mindy Zhang co-hosted the event. Awards were presented by the head of cultural department and head of the writers association in that region. I am an Iranian poet . I published 2 poetry books in my country . I want to take part in the international festivals to be familier with others culturer . My poems are the sounds of the the victim women in my country . Please keep me informed .